V/Line would like to advise that from September 2018 train speeds on the Maryborough to Ararat freight line will increase as well as the number of trains travelling on the line. Please stay safe and be vigilant around trains and train tracks. For more information about the Murray Basin Rail Project or about rail safety, visit vline.com.au/murraybasinrail, email murraybasinrail@vline.com.au or call 1800 800 007. Freight trains will return to the Ararat area in January 2018 as the Murray Basin Rail Project completes final works on the Ararat to Maryborough and Mildura rail freight lines. You may notice increased activity, truck traffic, heavy rail equipment and workers over the coming weeks as well as large freight trains once the lines reopen. Please be aware of this increased activity and stay safe around the rail line as these works progress and as trains return to your area. • Always obey the warning signs at level crossings and take care around rail lines. For more information about the project or about rail safety, please visit vline.com.au/murraybasinrail, email murraybasinrail@vline.com.au or call 1800 800 007. 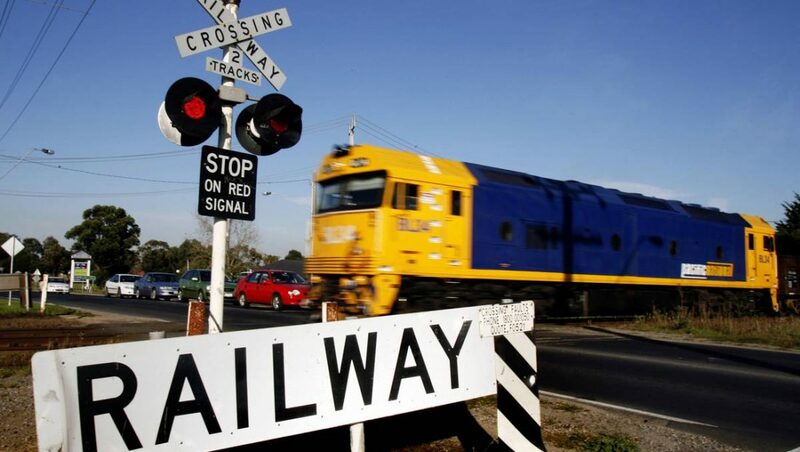 Ararat Rural City Council has been approached by VLine requesting the closure of 5 rail crossings on the Maryborough to Ararat rail line as part of the Murray Basin Rail Project. The location of these crossings is shown on the map below. Of the five crossings proposed for closure, crossings 2, 4 and 5 require discontinuance of the road. The areas of road proposed to be discontinued are shown hatched on the plans below. The crossings are tabled below. The closure of these crossings may impact on adjacent landowners access to property and to the general public in relation to the use of public roads. In giving notice of entry into public exhibition regarding the proposed rail crossing closures, Council is also inviting those who will be, or who could be, affected by the closures to make submissions to Council expressing support or opposition to the proposal. Any person, or group of persons, wishing to make a submission in relation to the discontinuance of this road must do so in writing within 28 days of the date of publication of this notice. Any person who wishes to make representation, in person, about their written submission must identify this in their submission. A meeting, if required, to hear representations in support of submissions will be subsequently convened.